UPHOLSTERY TOOL FOR SILVERSTAR CLEANERS Rentals Ft. Collins CO, Where to Rent UPHOLSTERY TOOL FOR SILVERSTAR CLEANERS in Ft. Collins, Wellington, Greeley, LaPorte, Loveland, Windsor CO and all of Northern Colorado. 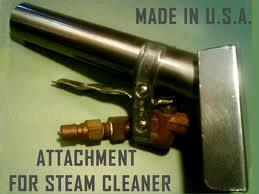 A hand tool with a 15 ft hose that attaches to the one piece carpet cleaner. It can be used for stairs, furniture, upholstery and Automotive detail cleaning. Double chamber to control the spray, 4" wide, 1.5" tube. * Please call us for any questions on our upholstery tool for silverstar cleaners rentals in Fort Collins, Wellington, Greeley, LaPorte, Loveland, Windsor CO and all of Northern Colorado.